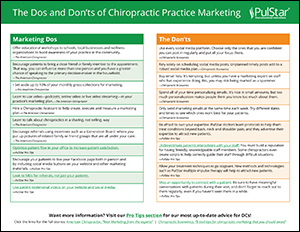 This got us thinking that it might be interesting to put some of the suggestions side-by-side, while also adding in some of our own tips to get a real sense of chiropractic marketing Dos and Don’ts. Use every social media platform, unless they have the manpower to post regularly and an audience to interact with. But there’s more where that came from. Get a free PDF download of our full comparative list of Dos and Don’ts. 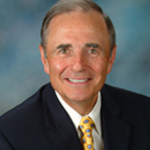 Christian, I like the idea to use social media in order to promote your chiropractic practice. I personally tend to struggle with several different back issues and it has gotten to be very severe over the past few years. I definitely think that I should look for a chiropractor that could easily realign my spine and help to reduce the pain. Really great advice. Gary Vaynerchuk has a great take on social media: “Depth, not width. Do things and take actions that have more depth than width” Not about the number of followers, but the quality of the followers you have!! What a fantastic post! This is full of useful information I can’t wait to dig deep and start utilizing the resources you have given me.